Sturgis, South Dakota – The Sturgis Buffalo Chip® and Keyboard Motorcycle Shipping are pleased to announce they will work together to provide Sturgis rally attendees the convenience of shipping their motorcycles to and from the 2013 Sturgis motorcycle rally. Never before has a motorcycle shipping company partnered with a venue to bring motorcycles to the Sturgis Rally. For the first time ever, Keyboard Motorcycle Shipping and the Sturgis Buffalo Chip® will not only provide Sturgis rally attendees the opportunity to ship their bikes to Sturgis, they will offer the option to store it in a secure overnight garage, daily cleaning and detail services, provide courtesy guest pick up directly from the airport to the Chip where their personal motorcycle is waiting, and will offer discounted rates to Buffalo Chip attendees. Those interested in shipping their bikes to Sturgis can get more info and make reservations at http://www.buffalochip.com/RESERVATIONS/SturgisMotorcycleShipping.aspx. Throughout the Sturgis Motorcycle Rally, Keyboard Motorcycle Shipping will set up at the Sturgis Buffalo Chip campground, offering motorcycle shipping services to Sturgis attendees from all over the country. Prior to the Sturgis rally, customers can arrange for their motorcycle to be shipped to Sturgis from pick-up locations across the nation for a timely and safe delivery. The bikes will be stored in a secure location upon arrival and an airport shuttle will be available to transport customers to their bikes when they arrive in Rapid City. Pick up and drop off services will be offered each day during the rally from the Sturgis Buffalo Chip location. Keyboard’s motorcycle shipping to Sturgis has been discounted to all Sturgis Buffalo Chip attendees. The goal of Keyboard Motorcycle Shipping is to fulfill the need to ride your own motorcycle. The new Sturgis Buffalo Chip location is expected to provide the maximum convenience at the lowest possible price. Keyboard Motorcycle Shipping offers special pricing throughout the country. 100% service is offered in the Eastern and Central time zones, in the Mountain and in Pacific Time Zones limited service is offered. Keyboard Motorcycle Shipping is bonded and insured, has transported precious cargo safely for the past four decades and is the preferred transport choice for most all of the well-known custom builders and manufacturers of the world, including the famed Motorcycles as Art Exhibit at the Sturgis Buffalo Chip. Using only experienced drivers, the shipped motorcycles will never touch the ground due to the revolutionary platform system that locks the bike in place with the kickstand up and protects the motorcycle throughout the shipping process. Keyboard Motorcycle Shipping will pick up from a customer’s home or a local dealership to offer even more convenience. For more information about shipping a motorcycle to Sturgis so that it is waiting safely at the Sturgis Buffalo Chip call 605-347-9000 or visit www.buffalochip.com. This annual joint venture will evolve as it grows to better serve you, our guests. We are in the process of building our west coast transportation routes at this time to better accommodate you in the near future, there will be limited routes available in some south western areas on a case by case basis. Please call for more info on your mountain and Pacific Time zone area requests and pricing. Bikes can be picked up at The Chip starting Thursday August 1, they can be returned to us at any time during the rally, with a phone call, for a rider’s early departure. They will be secured in our trailers at that time. All bikes must be returned to us for the return trip no later than noon on Sunday August 11, high noon! This annual joint venture will evolve as it grows to better serve you, our guests. 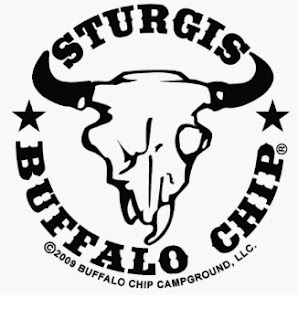 Sturgis Buffalo Chip® 2013 will take place August 2nd – August 11th. The Largest Music Festival in Motorcycling™ and the Sturgis rally’s cornerstone event will celebrate its 32nd consecutive annual concert series at their famed camping resort. Since 1981, the Sturgis Buffalo Chip® has provided unforgettable live music experiences and exciting activities for fans from around the world. The Sturgis Buffalo Chip® attracts the music industry's hottest stars and emerging talent and hosts a diverse selection of food and beverage vendors and interactive exhibits. Set on 580 acres, three miles east of Sturgis, the Buffalo Chip® is a festival experience like no other. More details are available at www.BuffaloChip.com.